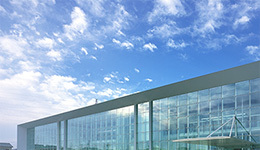 Based on the "Basic Policy regarding Establishment of Internal Control Systems" resolved by the Board of Directors, Akebono has implemented the entire Group's internal control systems by setting up the frameworks for risk management, enhancement of legal compliance and operation efficiency, and appropriate financial reporting depending on company sizes, business characteristics, management risks, etc. At the Board of Directors meeting held on May 8, 2018, the "Basic Policy regarding Establishment of Internal Control Systems" was partially revised. Other revisions have also been made in a manner that does not change the essence of this Basic Policy. 1. Akebono and its Group companies define compliance based on the "Global Compliance Manual," which consists of the Company's Philosophy, representative director's messages, Akebono Global Code of Conduct, Akebono Global Behavior Standards, etc. 2. 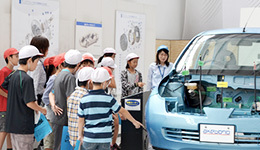 To promote compliance activities, Akebono establishes its Compliance Committee and system. The status of compliance activities is reported by the Compliance Committee to directors and audit & supervisory board members whenever necessary. 3. Akebono sets up consultation counters internally and externally to prevent problems and detect and resolve them promptly, and to receive consultation requests from all associates of Akebono and its Group companies including dispatched workers. Akebono and its Group companies keep consultation details and personal information confidential and do not treat those who ask for consultations disadvantageously. 4. Akebono and its Group companies deal with anti-social forces resolutely, stipulate clearly in the "Global Compliance Manual" that those who take action need to have a sense of justice and common sense, and disseminate this information among directors and associates. General Affairs and other divisions of Akebono and its Group companies strive to prevent damage caused by anti-social forces, and also take appropriate action in case of emergency in collaboration with outside specialized agencies if necessary as part of group-wide activities. 5. To comply with cartel and other regulations under global competition laws, Akebono and its Group companies clearly indicate prohibited acts under these laws and clarify the rules for contacting competitors or trade associations. 6. To ensure reliability of financial reporting, Akebono and its Group companies implement and operate internal controls relating to financial reporting in accordance with the Financial Instruments and Exchange Act and other laws and regulations. 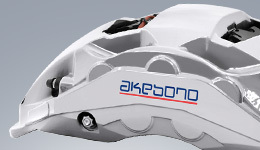 In accordance with the document management rules, Akebono records, retains, and manages information about directors' job performance in written or electromagnetic form. Directors and audit & supervisory board members are authorized to inspect these documents, etc. at any time. 1. To establish a risk management framework, Akebono and its Group companies set up a risk management committee as a risk management promotion organization that is chaired by representative director and comprises members selected by the chair. 2. To deal with various latent risks arising from corporate activities, the risk management committee conducts tasks such as regular identification of risks, determination of key risks and relevant handling policies, provision of directions to take measures and monitoring of the execution status of measures and their effectiveness. 3. To minimize damage (effects/losses) incurred in connection with a crisis (e.g., an earthquake or other disaster), Akebono and its subsidiaries prepare for emergencies by creating and distributing relevant manuals, etc. and offering training and education programs. IV. System to ensure that Akebono's directors and its subsidiaries' directors and other personnel carry out their duties efficiently. 1. 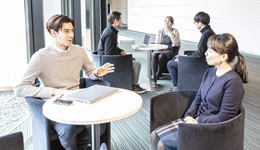 Akebono and its Group companies prepare midterm business plans reflecting future business environments, create annual budgets, and formulate and carry out specific plans to meet plan objectives. 2. Akebono adopts the executive officer system to separate management from execution, and clarifies responsibility and authority. Board of Directors meetings are held regularly once a month and whenever necessary. Akebono also establishes multiple important meeting structures comprising directors and executive officers to discuss management problems in advance. After deliberations made by these directors and officers, the board of directors decides whether to give approval. 3. The status of duties executed by each director or executive officer in accordance with resolutions made is reported to the Board of Directors, etc. whenever necessary and is regularly audited by audit & supervisory board members and the Internal Audit Division. 1. 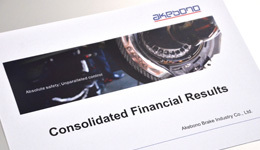 Akebono establishes a framework for receiving reports from its Group companies regarding their individual operating results, financial condition and other important management matters. 2. Akebono's audit & supervisory board members and Internal Audit Division regularly conduct audits of its Group companies in Japan and overseas, and report the audit results to its board of directors and relevant divisions. 3. To ensure that Akebono and its Group companies can execute operations appropriately, it sets job authority rules for itself and each of its Group companies. (1) To assist its audit & supervisory board members in their duties, Akebono sets up an Audit & Supervisory Board Office and assigns full-time staff (hereinafter "Audit & Supervisory Board Office staff"). (2) To ensure that audit & supervisory board office staff are independent of directors and that audit & supervisory board members' directions are given to them effectively, they carry out their duties under the control of such members and do not receive directions or instructions from directors. The Audit & Supervisory Board Office staff's personnel matters, evaluation and disciplinary action need to be discussed with audit & supervisory board members. (3) Audit & Supervisory Board Office staff belongs exclusively to the Audit & Supervisory Board and do not concurrently carry out any other duties. In this way, audit & supervisory board members can give directions to Audit & Supervisory Board Office staff effectively. (1) When a director or associate of Akebono or any of its Group companies (including those who receive reports from such director or associate) identifies a fact that may have a material effect on the management and performance of Akebono and its Group companies (i.e., a material violation of law or the articles of incorporation, an equivalent situation, or a fact that such situation may occur), such director or associate reports the fact to audit & supervisory board members without delay in an appropriate manner. (2) Akebono and its Group companies do not treat such director or associate disadvantageously due to such reporting. (3) Directors always provide standing audit & supervisory board members with opportunities to attend the Board of Directors meetings and other meetings held to make important decisions or ascertain the status of job execution. Directors also provide them with information about agenda items in advance. When an audit & supervisory board member makes a request for prepayment, etc. of expenses in connection with his/her execution of duties, Akebono immediately processes such prepayment or obligations, except when these expenses or obligations are considered to be unrelated to the said audit & supervisory board member's execution of duties. (1) To ensure the effectiveness of audits, directors provide audit & supervisory board members with opportunities to regularly exchange information and opinions and mutually collaborate with the Internal Audit Division and external auditors. (2) Akebono's management holds regular meetings to exchange opinions with the Audit & Supervisory Board.